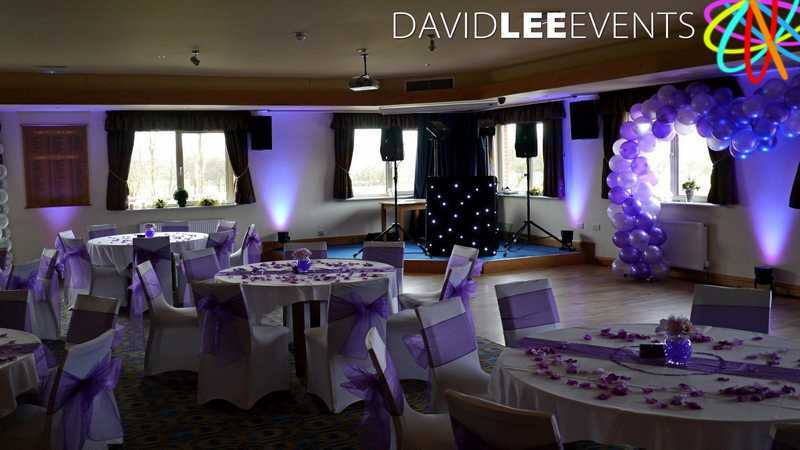 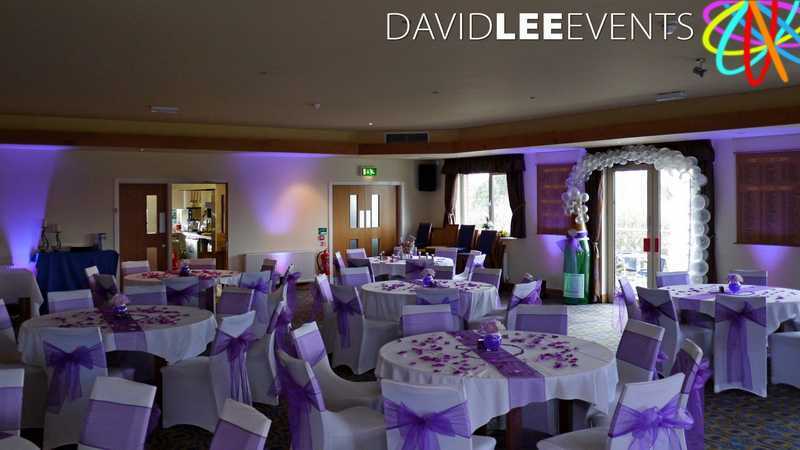 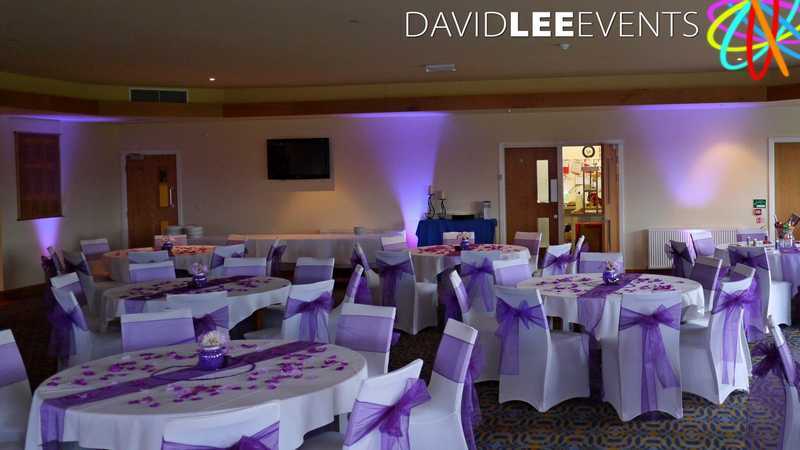 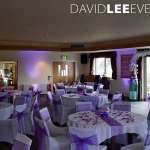 Blackley Golf Club situated in Greater Manchester and is a lovely venue with great views across the greens from the 1st floor outside lounge area. 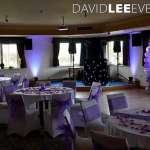 Then once you go inside you have white coloured walls, which really lends itself to coloured uplighting. 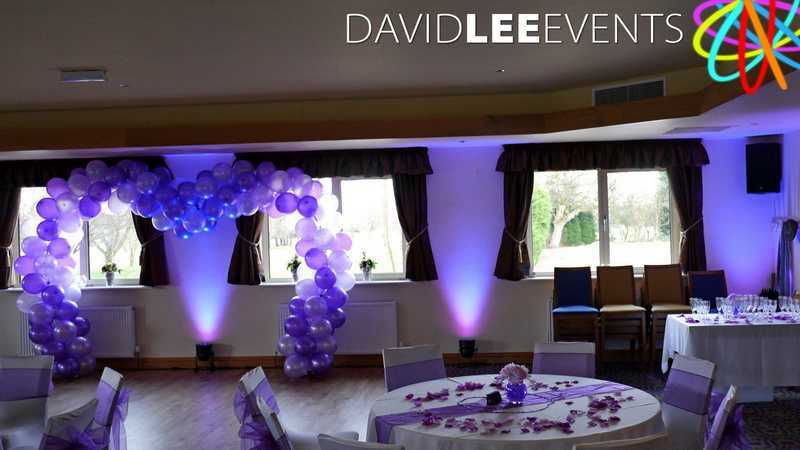 This particular lighting job at this golf club was for a Monday wedding in February. 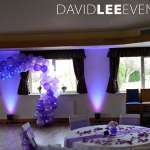 We supplied the Purple uplighting along with the wedding DJ. 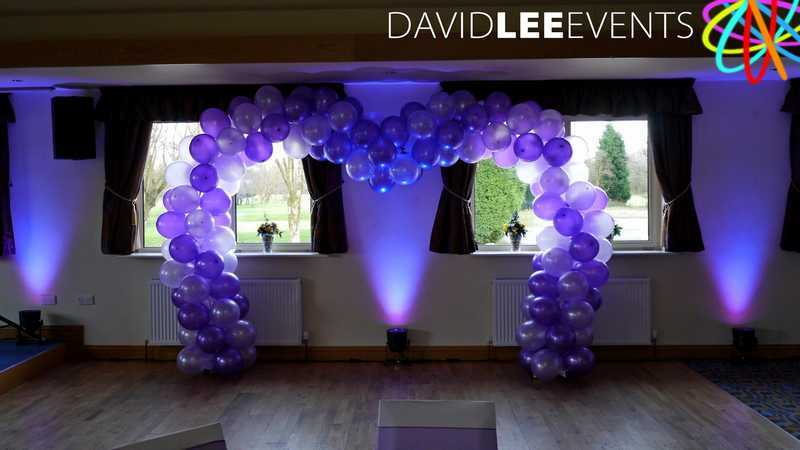 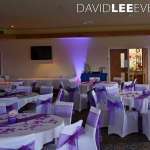 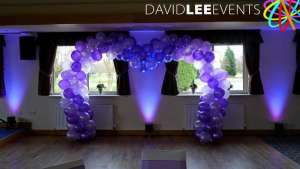 The Bride wanted some purple uplighting which really helped to create the desired effect and worked a treat along side the balloons.